COMPOSITION: The tarpaulin is composed of L.D. granules include virgin and N.V granules with master batch to provide extra strength and shining. APPLICATION: Tarpaulin is used mainly as agriculture, at construction sites, at transport goods protection. 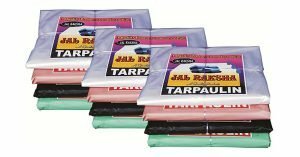 These Waterproof LDPE tarpaulins are widely used in the residential and commercial sectors. COMPOSITION: The Hose is manufactured from high quality material; these are highly demanded for domestic and agricultural purposes. 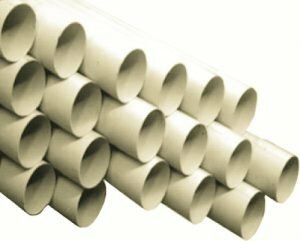 These pipes are made by our professional’s skill emerging demands of clients. APPLICATION: For use of water conveying for irrigation projects and gardening. 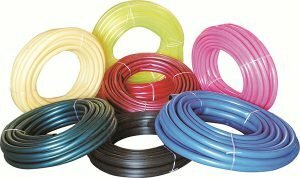 We are indulged in offering a unique range of Garden Hose Pipes to our clients at rock bottom prices in secure packages. We have been able to supply qualitative products to our clients. COMPOSITION: It is made by an advanced continuous manufacturing technique using a special formulation of PVC and high tensile polyester yarn. 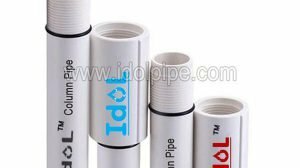 The process ensures total penetration of PVC onto the interstices of the polyester reinforcement and inseparable fusion of the inner and outer walls of PVC. 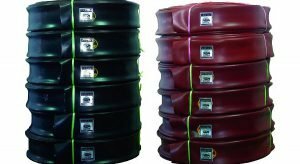 This production process allows maximum strength and durability. APPLICATION: LDPE lay flat hose pipe is used mainly as delivery hose, in agriculture, at construction sites, mines, sprinkler, fire prevention line and fishery. COMPOSITION: The hose is composed with a PVC cover and reinforced polyester yarn. The high tensile polyester yarn provides great durability and strength in all working situations. APPLICATION: PVC lay flat hose pipe is most commonly used in agricultural equipment where continuous water flow through irrigation systems is required. Additional uses include water pump, pool & spa, construction, mines and marine. RANGE: Size from 20 mm (½”) to 90 mm (3”). 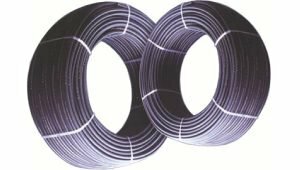 AVAILABILITY: Available in 50, 100, 200 & 500 Meter coils. APPLICATION: For use of Drainage, installation of pump sets in Tube/Bore Wells for Portable Water Supply for Pumping & Distribution Lines, mining, landfill gas extraction, industrial, cable duct, gas oil, and agricultural applications. RANGE: Size from 63 mm (2”) to 110 mm (4”). AVAILABILITY: Available in standard length of 6 Meter with Male & Female Coupler. APPLICATION: For use of municipal & Government Enterprises, industrial, Hotels, Garden and Farm, Useful in harnessing of crops. 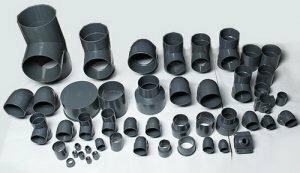 AVAILABILITY: Available in Coupler, Reducer coupler, Elbow 90°, Tee, Reducer Bush, Male Adaptor Plastic Threaded, Female Adaptor Plastic Threaded, Air Valve, Non Return Valve, End Cap, Band. APPLICATION: Solvent cemented fittings by use of solvent cement in domestic plumbing for permanent homogeneous joint. AVAILABILITY: Available in Standard Length of 6 Meter. APPLICATION: Domestic/ Industrial Plumbing, Chemicals and Acid Transportation, Agriculture Water Supply, Suction/ Delivery Pipes, Drip/ Sprinkler Irrigation System, Gas and oil distribution Supplying lines. RANGE: Size from 33 mm (1”) to 113 mm (4”) in standard length of 3 mtr. 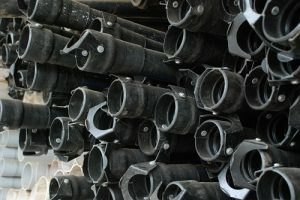 AVAILABILITY: Available in different pressure medium, standard & heavy pipes and maximum installation depth 1200 feet. APPLICATION: Suitable in submersible and jet pump for irrigation, sifted pumping system, domestic, industrial mining, chemical distribution or can be used in many other purposes.